It has been a while since I saw the launch of a makeup product cause such an uproar. 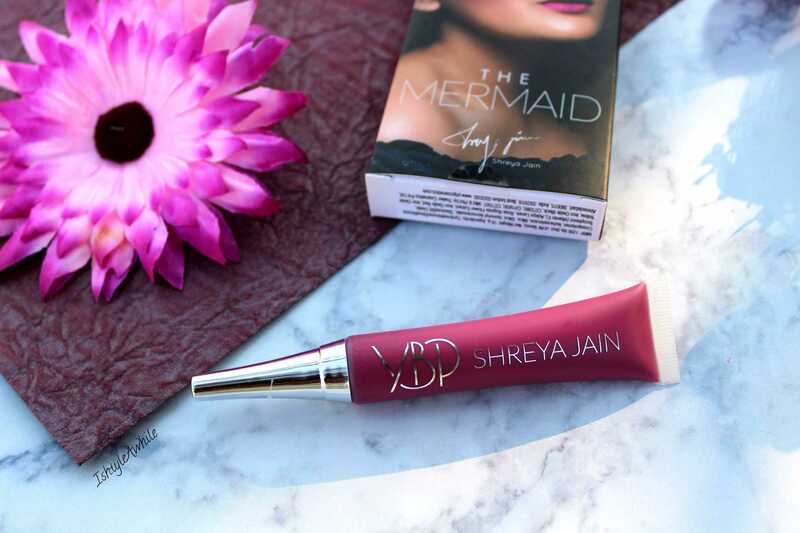 If you are into makeup and follow Indian beauty bloggers, then you most definitely have heard of Shreya Jain. 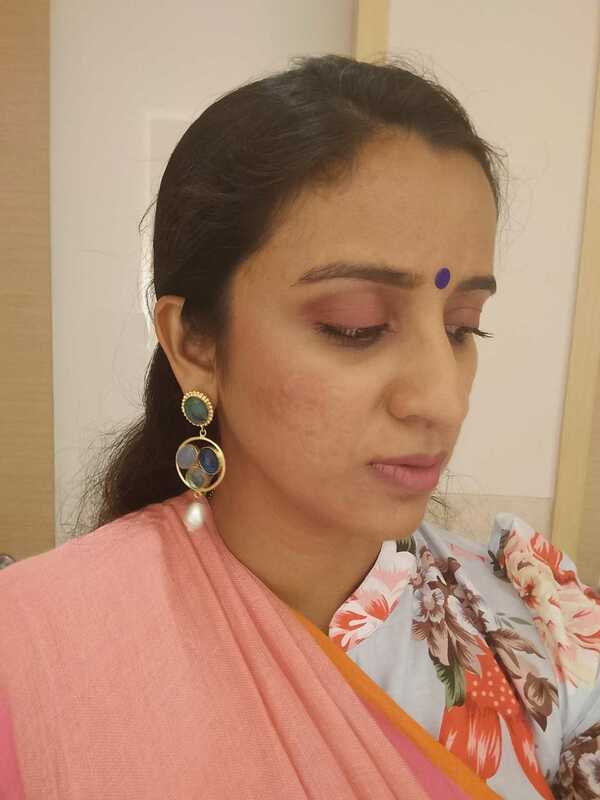 Her collaboration with YBP cosmetics to launch a one-of-a-kind makeup product called Color Creams marks a milestone in the Indian Cosmetics industry. 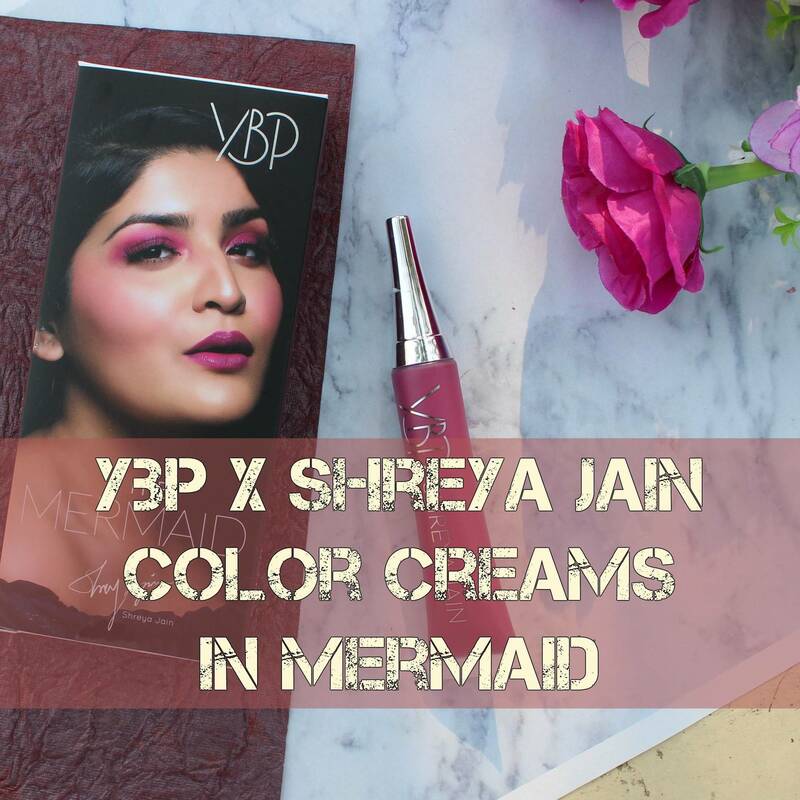 No other brand in India has collaborated with a beauty blogger to launch a range of cosmetics which definitely puts YBP cosmetics on the map. 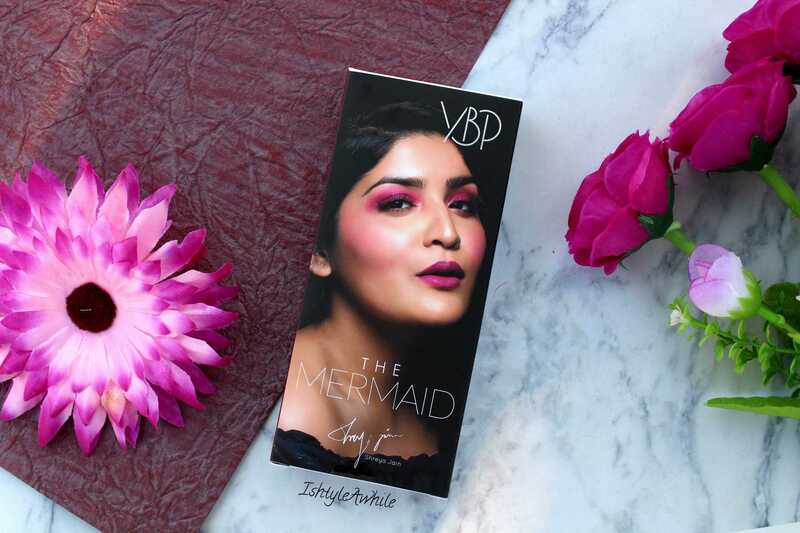 They launched a total of 4 shades priced at 1200INR each and I picked up just one- the shade called Mermaid . Why did I decide to buy the YBP Color Creams? The first and foremost reason is to support a homegrown cruelty free brand. It is a bold decision by YBP to come up with a product such as the Color Creams. Also, I have been following Shreya jain for a long time and I think she works very hard on her videos. 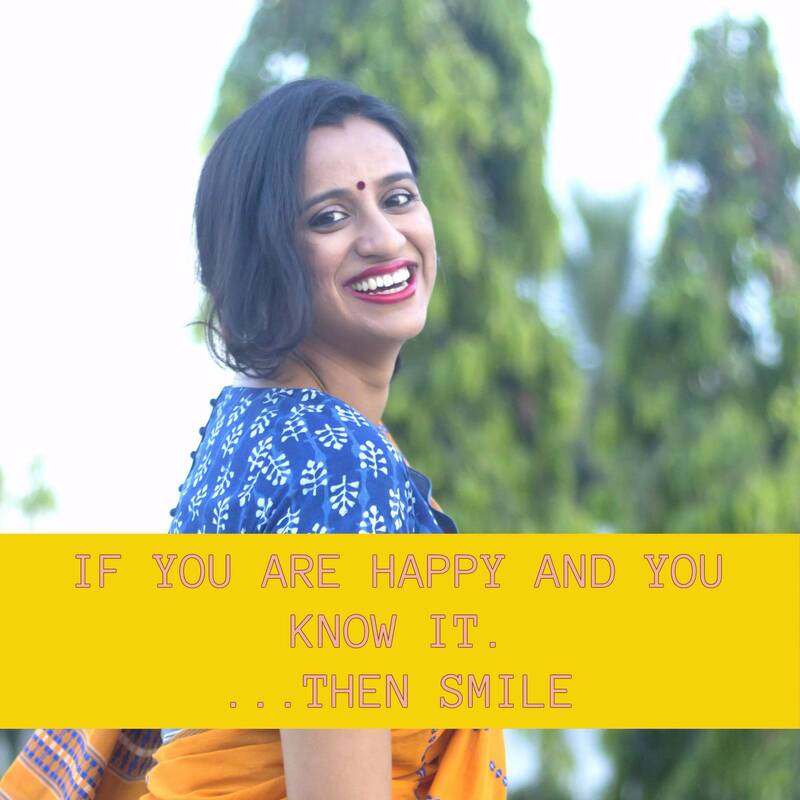 I have seen how much the way she presents her content has grown and evolved since the start. Buying one of these products was my way of showing my support to her hard work. Also, if I have to be completely honest, I was extremely curious to know more about the Color Creams and I knew you guys would want to know more as well. What do I think about the idea of Color Creams ? The idea is definitely unique. A product that you can use in multiple ways and on the go without any brushes is a really good idea. Talking about the shades, Mermaid is the most gorgeous shade. I would describe it as a purplish shade with tones of pink in it that make it very wearable. I think this is the only shade out of the 3 colour shades that is wearable by any skin tone. Princess seems too bright, and Witch looks like it might wash out darker skintones (Witch was also on my wishlist but I decided against it because I truly could not afford to pick up more than one shade). 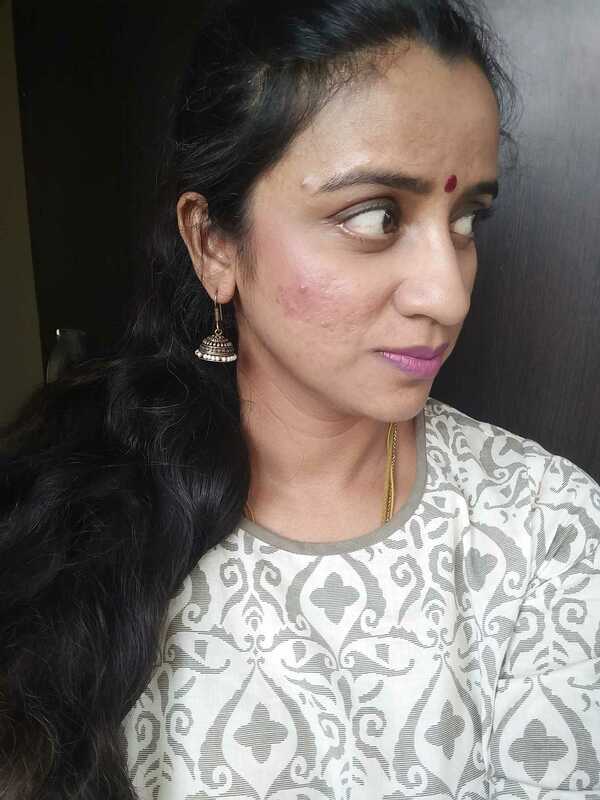 Goddess is a highlighter, and since I am not into highlighters I was never tempted by this shade,but I can understand why a lot of people are going ga-ga over it. It most certainly looks gorgeous. What do I like about YBP Color Creams? The packaging is pretty neat and classy. It is easy to use and the nozzle has a very small tip so you only get a dot of the product every time. There is some amount of product that ends up on the inside of the cap which one might consider as a waste of the product. 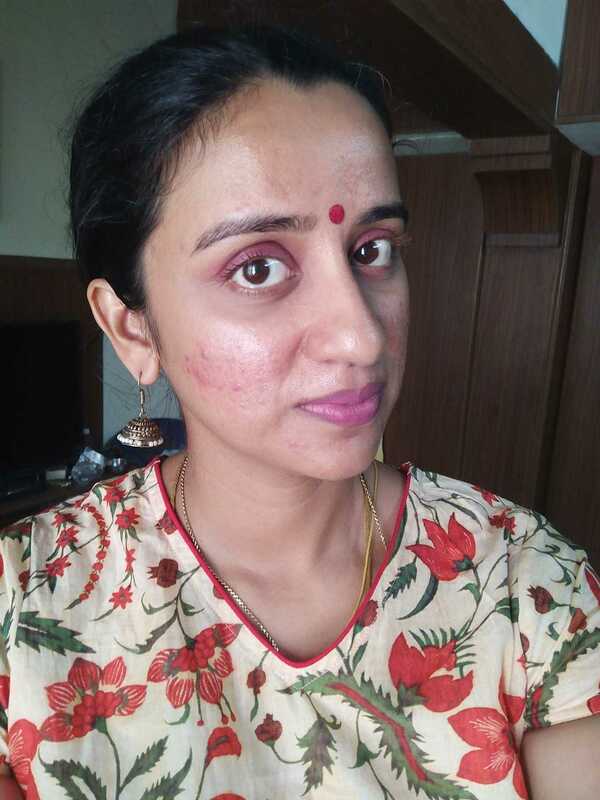 Mermaid is crazily pigmented and all I need is one drop of it and I can happily get colour on both my cheeks or my lips. The pigmentation is buildable and the product smells great. It contains Vit E which is good for the skin and is free of talc . The product goes on very smoothly and it is easy to blend with just your fingers. Mermaid settles into a matte finish on my lips and has a slightly dewy finish on my cheeks, probably because I have fairly oily skin. How long does it last? What is the best way to use this? On the cheeks it did not last beyond 2-3 hours on bare skin. If worn with a primer and foundation then it does stay on a bit longer. (Please bear in mind that I have oily skin and I live in a humid place). So far I have used this without layering a powder blush over it. I find that it blends very well with the fingers, but ensure to pat it into your skin. Do not try to pull the products with your fingers because that removes the product rather than blending it. It really does melt into your skin as the brand claims and leaves a very natural flush of colour on the cheeks. For the lips, I like to dot it on the centre and then spread it out. It goes on very smooth and does not settle in my lines. I have fairly dry lips but this does not feel drying on the lips until about 4 hours later. I feel as time passes by it starts to get more drying. For me it faded into a tint and then finally disappeared from my lips. If I eat or drink anything before this has completely set, then it does transfer, but once it is set (which takes a good 20 minutes), it does not budge. I also realised that if I have a very oily meal, then it fades away faster. The YBP Color Cream looks amazing when layered and the colour is built up. Personally however, I like it as a tint and have no issues touching it up after about 2-3 hours. For the eyes, it adds some natural colour, but since it is a cream product there is creasing very soon. 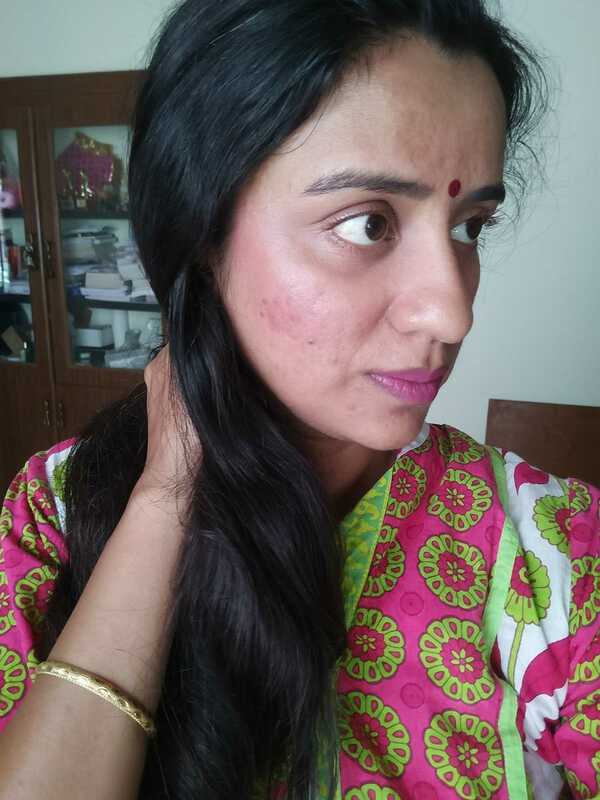 It does act as a good eye shadow base and building colour on it is very easy. When worn on its own it stays on the lids for 4 hours and then starts fading away. However unlike your lips it does not completely fade away and there is some amount of a tint left at the end of the day. It leaves some major pigmentation on the fingers. This is pretty much my only qualm with it. What would I suggest to the brand? So I have heard a lot of people say that 12ooINR is pricey. Honestly I am on the fence about it. It is a great quality product. I love that is it cruelty free and made in India. They really have put a lot of thought into it and a lot of hard work. However if the idea was to give a unique product to the masses then it would be great if YBP could figure some way to lower the price point. Maybe reduce the quantity or get some mini versions of this, because lets face it, the quantity is really A LOT and no one is going to be able to finish this unless they use it day in and day out! I know that Payal (YBP CEO) already addressed this on their Instagram stories saying that the pricing is for the quality and not the quantity, and if she reduced the quantity, the price would not be reduced. While that seems fair on her end, it is sad that the price point makes it slightly out of reach for a lot of women who would really love to support an Indian brand. I guess that is why a lot of people have been upset about the price point, because when there are brands like ColourPop that offer great quality products at an affordable price, why not one of our own! 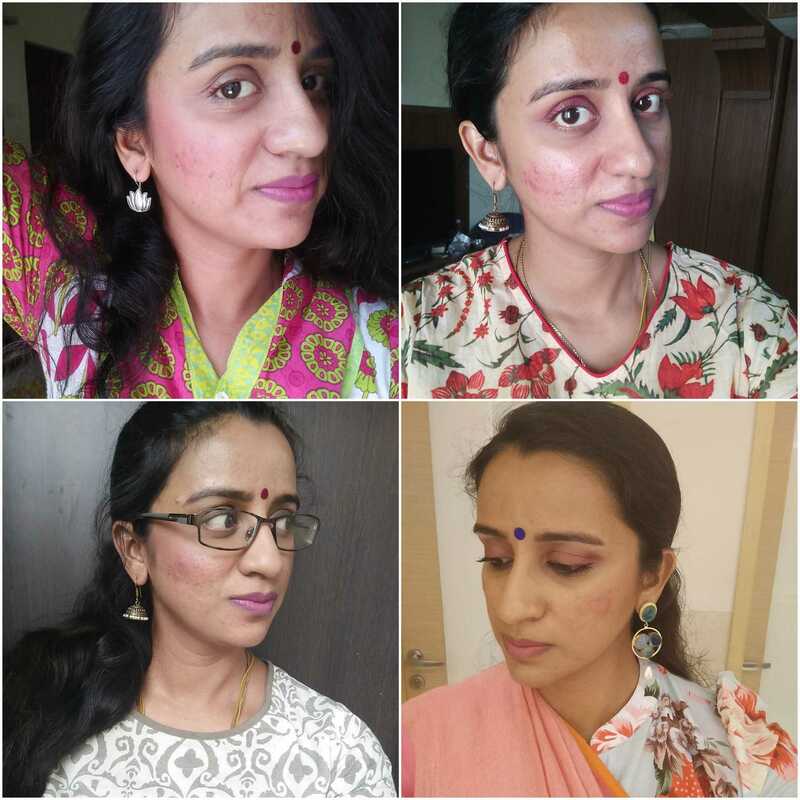 Anyone who loves easy breezy makeup looks, the YBP Color Creams is the product for you. In fact I think Mermaid would be the perfect shade for a beginners kit. If you like precise lines for your lipstick, and an eyeshadow that does not crease, then be ready to invest more time and effort in using this because you will need to pull out a lip brush and an eye shadow brush. This sort of defeats the idea of makeup-on-the-go. For those of you who are makeup nazis and need your makeup on point, I would suggest you think twice before investing in this. Overall I would not say buy it or do not buy it. I am going to leave that up to your discretion because you have the most detailed review ever in your hands now. 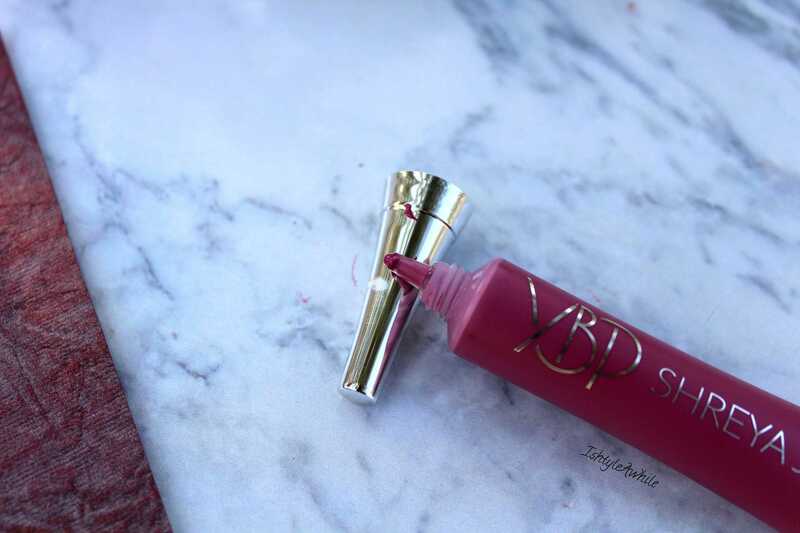 Will I buy another YBP Color Cream? For now I will not be buying any more of them. What happens later in the future depends upon the the shades that come out, and the price range, and the quality. In case you are looking to buy Witch, then take a look at Makeup and Smiles . She has a detailed post up. 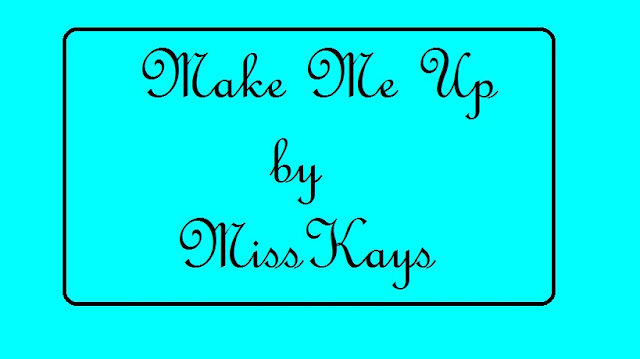 Or if you want to take a look at all the 4 shades, then MissPinkShoes has a really good video up. I really hope that this review was useful. I know it was super long but hey, everyone wanted an honest detailed review, and this is it. If you liked this review, make sure to subscribe via email for more such updates directly in your inbox.